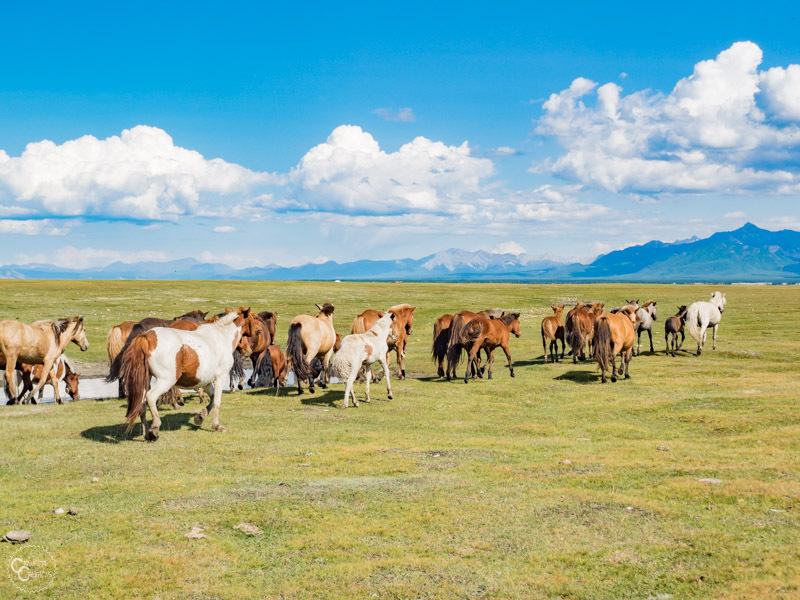 In many ways, Mongolia feels like the last frontier. It’s the land of blue sky and wide open spaces, where animals outnumber people 22 to 1. Mongolia is a place where wildlife thrives, animals roam free, and people spend most of their time outside instead of in. It’s a country that values tradition, with a rich culture and immense respect for the natural world. Basically, it’s an outdoor lover’s paradise. But, as with all natural landmarks that, in this age of unprecedented travel and globalization, have remained untouched and raw in their natural beauty, in order to get there, you’ve got to be willing to put in the effort. Mongolia is by far the most remote country I’ve ever been to. It’s a place with few paved roads, very little public transportation, hardly any people, and vast rolling grasslands, mountains, and desert to navigate with very little infrastructure. As a result, independent travel in Mongolia is tough. Outside of Ulaanbaatar, it’s damn near impossible to get around without your own form of transportation. There are no taxis, and buses are few and far between, which makes sense considering there are hardly any paved roads for them to drive on. To complicate matters more, towns and landmarks are hundreds of kilometers apart with nothing in between but countryside, some nomads, and their animals. So, given all these obstacles, how do you actually plan a trip to Mongolia? The best way to experience Mongolia is to book a tour with a local guide. This is especially true if it’s your first time in the country as you’ll get to travel with someone who knows how to find all the best spots and has connections to the coolest local experiences. There’s no better way to experience a new country than with a local. They can teach you about the culture and customs, help you communicate with nomadic families, and just help you have an overall more meaningful experience on your trip. Which Tour Company Should You Choose? Because Mongolia is a really difficult country to travel independently there are a million and one tour companies out there to choose from ready and waiting to help you make the most out of your time in Mongolia. But not all tour companies are equal. While I haven’t tested all the Mongolian tour companies out there, of course, if you’re looking for a locally run company that offers an incredible, authentic Mongolian experience while still catering to Western health, safety, and environmental standards, and traveling to all the best spots in Mongolia, you can’t go wrong with Tour Mongolia. 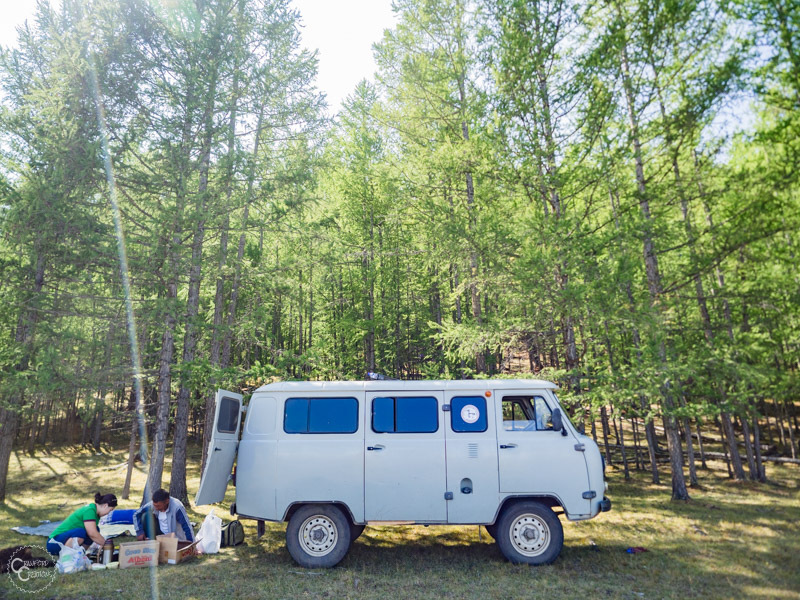 Tour Mongolia is a locally owned and operated tour company that was founded in 2001 by two Mongolians with a vision of creating immersive and footprint-free travel. 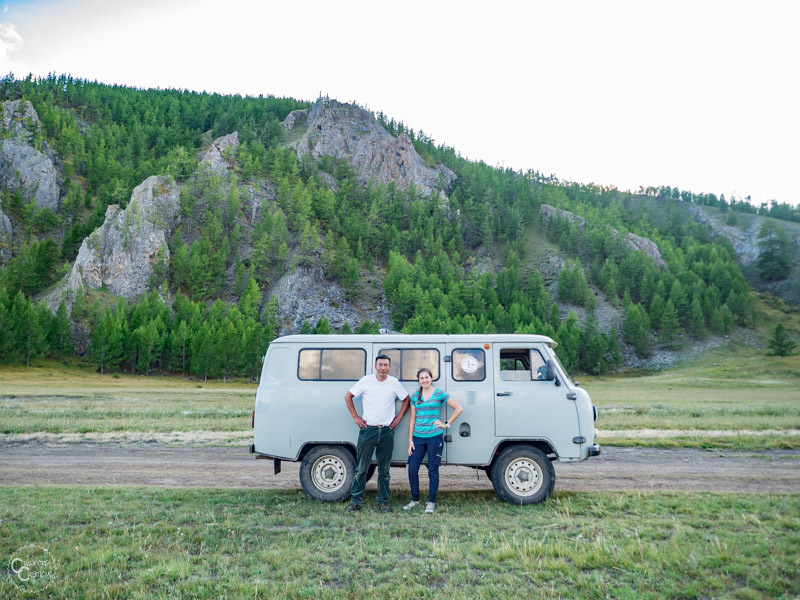 Their mission is to be the leading responsible, eco-friendly tour operator in Mongolia, and I’d say they’re well on their way to doing just that. Tour Mongolia is all about showing travelers the best sites in Mongolia while simultaneously providing an immersive cultural experience you’ll never forget. I have no doubt that my memories from traveling in Mongolia with Tour Mongolia will last a lifetime. 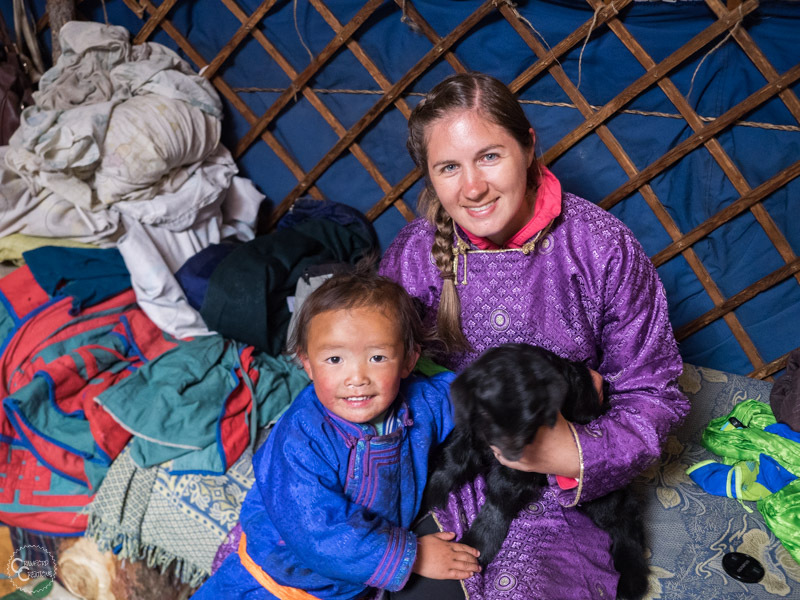 Tour Mongolia focuses on creating personal relationships with local nomadic families along the tour routes they travel. They contact the families ahead of time and ask if they would like to receive tourists and provide unbiased information about the advantages and disadvantages of hosting foreign travelers. If a local family agrees to host tourists or provide some sort of service such as a meal, or renting out some of their horses, Tour Mongolia pays them a fair wage for their services, just as you would pay for a meal at a restaurant or a room in a hotel. All guides, drivers, and horsemen employed by Tour Mongolia are local Mongolians. Tour Mongolia pays everyone a competitive wage and invests in their employees well being by providing insurance, education, and training to all staff members. They also work with nomadic families to help them set up additional income streams by getting involved in the tourism industry. Tour Mongolia helps local families who are interested in receiving tourists to set up homestays or offer other services such as renting out horses or cooking food. This not only increases the locals’ income and quality of life but also helps to bridge cultural gaps by connecting foreigners to locals and enabling them to share stories and gain knowledge of life in far away places. Tour Mongolia also aims to use locally sourced products on their tours whenever possible. Most of the equipment and provisions used on their tours are 100% Mongolian. Tour Mongolia puts it best when they say “A Mongolian biscuit can be equally as good as a German one, the difference being that it hasn’t traveled 5000 miles to get to you”. Besides sourcing products locally, Tour Mongolia does their best to reduce any environmental damage caused by tourism in Mongolia. Tour Mongolia combines financial contributions with personal volunteer work to support the Nomad Library (a traveling library that provides books for children living the countryside), Children’s Eco Club (an organization that teaches kids about waste collection and disposal to protect the nature around them) and Nomadic Melody (an organization that seeks to preserve Mongolia’s musical heritage by paying talented local musicians to play and teach others traditional Mongolian music). I spent 10 days traveling with Tour Mongolia on their On Horseback To Mystical Taiga Tour in late August/early September of 2018 and had such a great time. 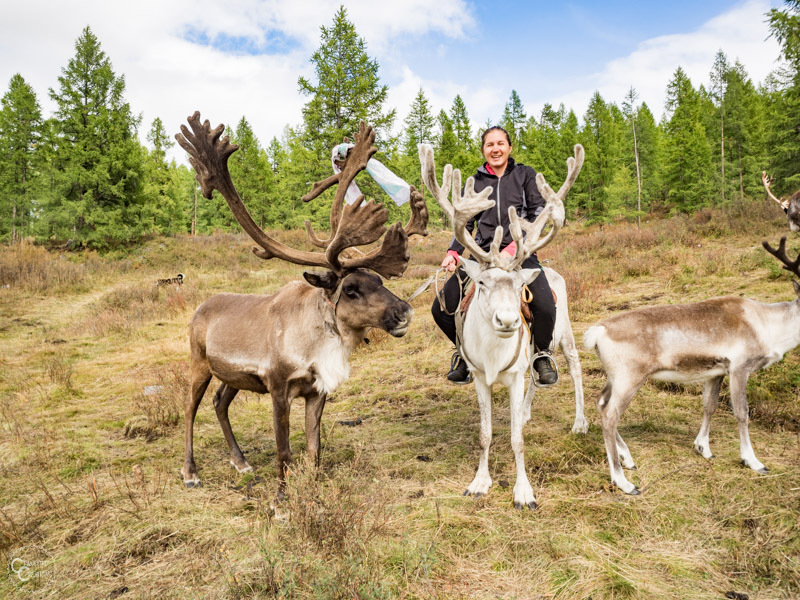 I was super excited to finally be going to Mongolia to meet the Tsaatan Reindeer Herders, something I had been wanting to do for years, but, honestly, going into the tour I was a bit apprehensive. I really had no idea what to expect as I don’t often do organized tours like this. If this sounds like you, don’t worry, because you will have an awesome time traveling with Tour Mongolia. Here’s what you need to do, and it couldn’t be more simple…relax. Seriously, Tour Mongolia took care of everything on my tour. Drivers were always on time, accommodation was all arranged, food was cooked for me, drinks were served, and experiences were planned. All I had to do was show up, be present, enjoy the moment, and learn as much as possible about Mongolia. That being said, this wasn’t one of those tours where everything was set in stone. If we came across something interesting we would make a pit stop to check it out. If I really liked something, or really wanted to do something my guide would make it happen, even if it wasn’t in the original itinerary. Conversely, if I didn’t like something (which honestly never happened) we would move on and find something else to do. I left after my 10 days traveling with Tour Mongolia feeling like I’d just been on a retreat, which seems like a weird thing to say after such an adventurous trip, off-roading and camping most of the time, but it’s true. Somehow my adventure tour through remote northern Mongolia was so relaxing that I was completely refreshed and re-energized by the end of it. I left Mongolia having seen some of the most beautiful scenery I’ve ever laid eyes on, ridden horses through the Taiga, met countless amazing local families who welcomed me into their homes with open arms, rode a reindeer, milked a yak, and hiked above Lake Khuvsgul, among many other amazing experiences, all made possible by Tour Mongolia. But the best part of my tour wasn’t written down in any itinerary or guidebook. One of my fondest memories from Mongolia is the chance connection I made with a local family who kindly took us into their ger and let us stay the night when the weather turned and my guide felt like it would be too cold and rainy to camp outside. I played with their 3-year-old grandson and taught him how to use my camera after he fell in love with the sound the shutter makes when taking a photo. He then insisted that I post his photo on Facebook, which I did because, well, how could I deny. My guide cooked up an amazing Mongolian barbecue which we shared with the family for dinner. We talked about our jobs, and I learned all about the nomadic herder life in Mongolia. The family heated up a pot of milk tea and brought out their homemade bread, butter, and yogurt for me to try (it was delicious in case you were wondering). In the evening I helped them to round up their animals and spent time cuddling a baby goat that had been rejected by its mom. Then, to top it all off, in the morning, before we left, the lady of the house taught me how to milk a yak. The whole experience was amazing, and just a true testament to both Mongolian hospitality and the commitment of Tour Mongolia to create connections with local families and provide authentic local experiences to tourists. 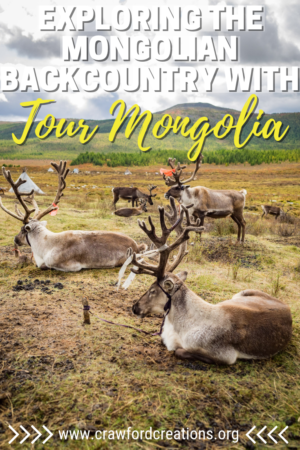 Click here to learn more about my experience traveling with Tour Mongolia and find out everything I did during my 10-day tour of Northern Mongolia. Tour Mongolia has 22 different multi-day trips to choose from that travel to all parts of Mongolia and cover all levels of adventure from riding horses through the mountains to driving across the steppe. They truly offer something for everyone. And the best part is if you can’t find something you like on their website or you want to tweak a tour to your needs, email them and they will happily create a customized tour just for you. 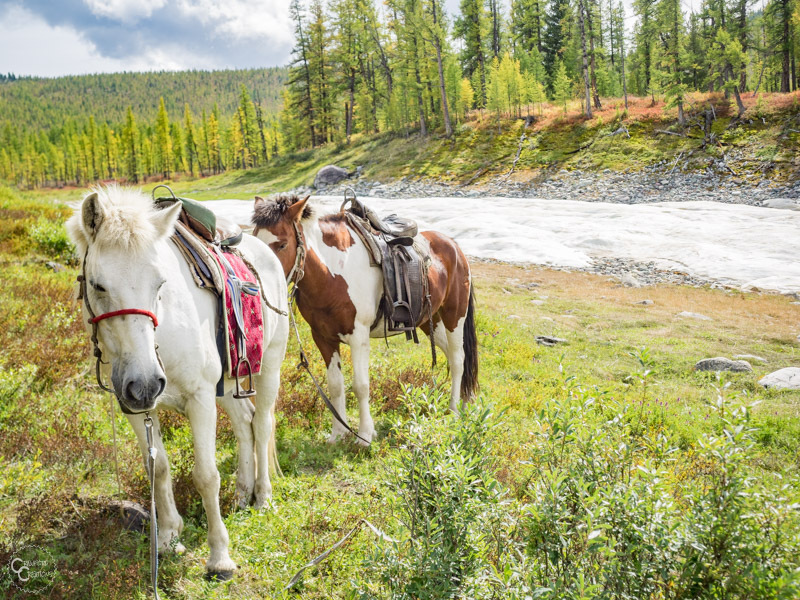 If you’re stuck for ideas, personally, I would highly recommend the On Horseback to Mystical Taiga Tour. I mean, I’m sure all their tours are great, but who wouldn’t want to ride horses to meet a tribe of nomadic reindeer herders? Just a highly biased suggestion is all. To browse through all the trips offered by Tour Mongolia, head to their website and click on Tours in the menu at the top. Once you’ve decided on which tour you’d like to book, click on that tour on the Tour Mongolia website and click the red button on the right-hand side that says “proceed to booking”. From there you’ll be sent to a form where you can put in all your information. Afterward, Tour Mongolia will contact you via email to arrange your tour. Alternatively, you can also fill out the inquiry form located directly underneath of the “proceed to booking” button. After filling out the form Tour Mongolia will contact you via email as soon as possible to discuss your trip to Mongolia. You can also just straight up email them at info@tourmongolia.com which is the route I took. They’re very responsive via email, unlike a lot of other Mongolian travel companies I, and other travelers I know, have tried in vain to contact. How Can You Contact Tour Mongolia? One of the things I really appreciated when working out my tour with Tour Mongolia is how easy they were to contact and communicate with. Their website is super easy to navigate and they’ve got many different ways on there for you to contact them. You can contact Tour Mongolia via inquiry form on their website tourmongolia.com, email at info@tourmongolia.com, or phone at +1 914-228-3151 (USA) or +976-1135-4662 (Mongolia). As I said before, Tour Mongolia is super easy to communicate with, so you never have to worry about the dreaded situation of booking a tour online and then crickets, not a peep once they’ve got your money. In fact, the process of booking a tour with Tour Mongolia was quite the opposite. Tour Mongolia would answer all of my emails usually within the day, and always with extremely detailed answers to my questions. The staff really does a great job at communicating with all of their clients leading up to the tour. They sent me a detailed itinerary of my trip as well as information about what to pack and what to expect on the tour before I left to go to Mongolia. So what should you expect when traveling with Tour Mongolia? Expect incredible outdoor adventures with as much comfort as can be provided. I know that’s a bit vague, so let me explain. First of all, if you don’t know anything about traveling in Mongolia, let me just say it’s amazing, and perfect for those who love the outdoors, but it’s not for the faint of heart. Pretty much all there is to do in Mongolia is explore the outdoors, which, personally, I think makes it the most epic destination ever, but if you’re not an outdoorsy person and you want to come to Mongolia anyway, just expect to be pushed out of your comfort zone. Heck, even if you are an outdoorsy person, still expect to be pushed out of your comfort zone. Tour Mongolia will cook you the best food and put you up in the best accommodation available during your tour, it’s just that, most of the time, the best food available is lamb and noodles, and the best accommodation is a ger with no toilet and no electricity. That’s just Mongolia. To give you a better idea of what you can expect comfort and accommodation wise during your trip with Tour Mongolia, during my 10 day tour, 6 of those days were spent without a shower or toilet, we traveled either off-road in a Russian van or on horseback, I stayed in a tent, a guesthouse, a teepee, a local ger, and a “glamping ger” at a ger camp over the 10 days, and I ate a very local, meat-heavy diet which consisted mostly of beef and lamb (note, vegetarian meals can be cooked as long as you tell Tour Mongolia ahead of time). Again, for more everyday details about my trip about check out this post. In terms of the itinerary and schedule during the trip, expect your tour to be more on the laid back side than the go, go, go all the time tour. I’ve been on tours before that were too jam packed and all the stops were super rushed. Guides would give you 15 minutes to explore, and then it was back in the van and on to the next thing and it felt like everything was on a timer. My trip with Tour Mongolia was nothing like that. 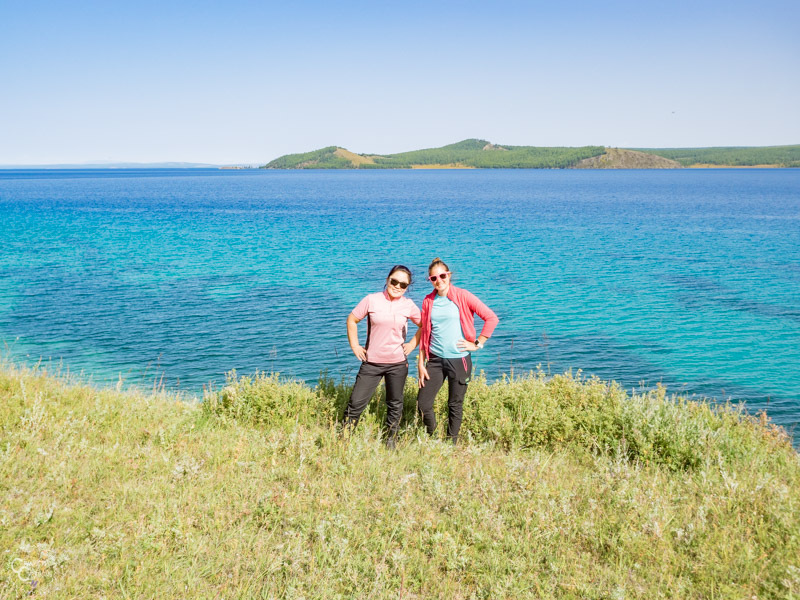 Tour Mongolia does a great job on their multi-day tours of keeping a good balance of adventure time and downtime. The cool thing about my trip with Tour Mongolia was that I felt like I was able to still keep some of the freedom of independent travel while doing a tour. I never once felt rushed, or like I didn’t get to fully experience a place to my heart’s content. During my tour, my guide was always reiterating that if I wanted to stop to take a photo, get out of the van, or go check something out, to just tell her and that it was never a problem. I always had downtime to relax every day and do whatever I wanted, be it read, take a nap, or go explore on my own. 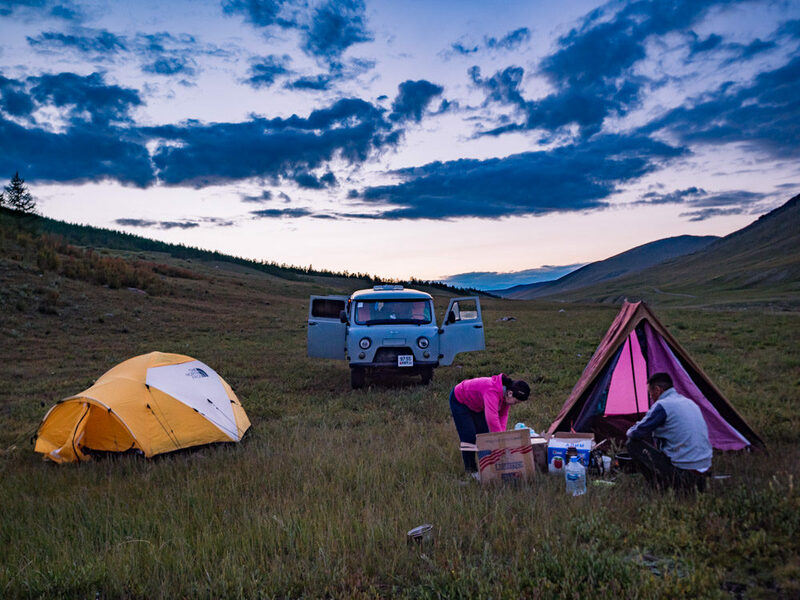 To sum it up, expect your trip in Mongolia with Tour Mongolia to include epic outdoor adventures, beautiful natural scenery, incredible animal and wildlife encounters, amazing interactions and homestays with the locals, and a flexible schedule. Just don’t expect all the comforts of home while you’re at it.